Enjoy the sparkling waters of our own outdoor swimming pool in the most spectacular setting in Dubai. The pool is a fantastic place whether for a bit of pre dinner exercise or to simply chill out after a hard day's holidaying. 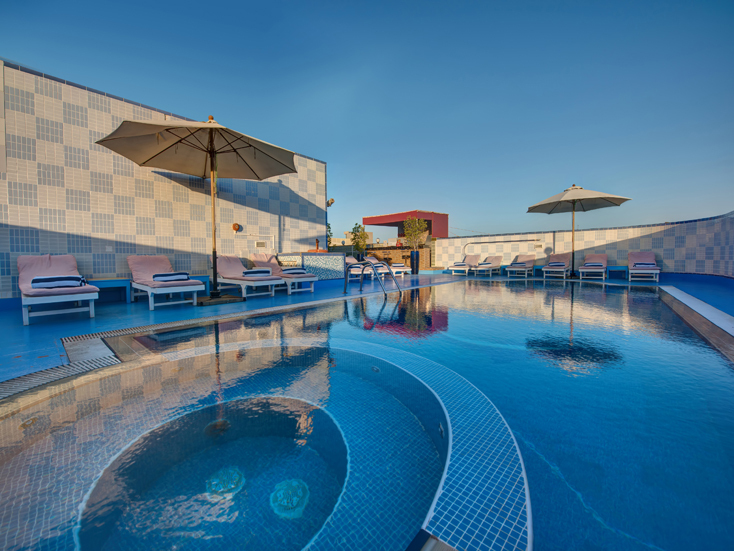 Our Outdoor Pool are beautifully designed with a relaxing feel. 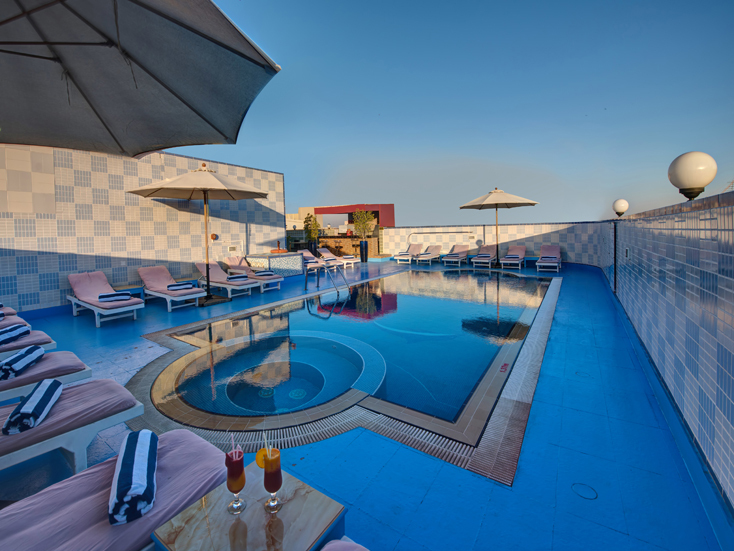 Part of Swimming pool, the Jacuzzi offers hotel guests the chance to relax and let the heat relieve any muscular aches, detoxify the skin and improve your circulation and well being. 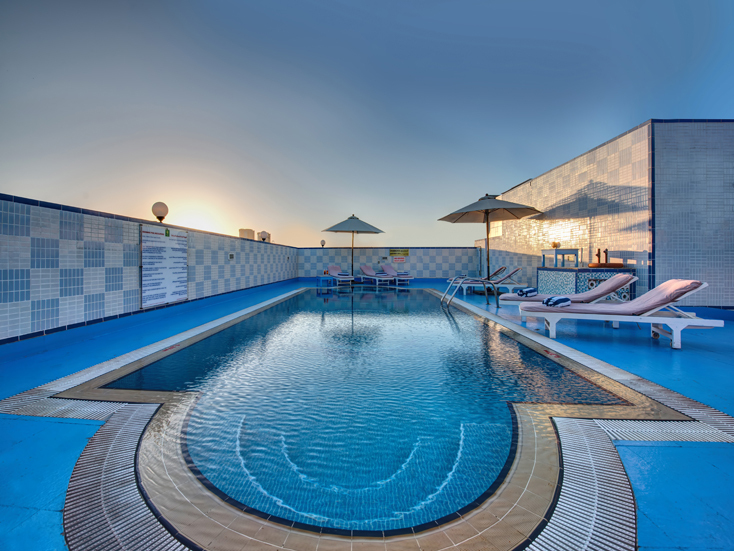 COMFORT INN HOTEL Al Rigga Road, Dubai, UAE.